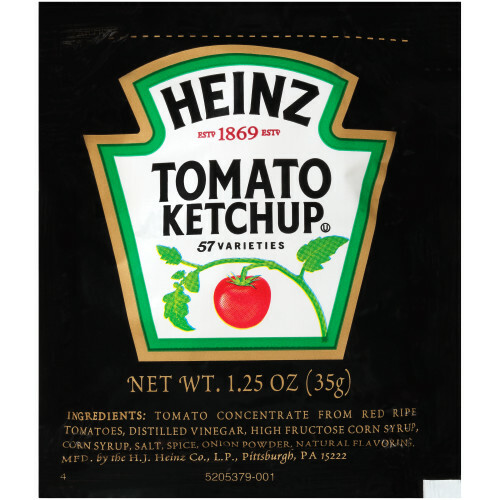 Heinz Ketchup Dip & Squeeze Packet is a rich and thick condiment made from concentrated tomatoes having a bright red color and good tomato flavor, corn syrups, vinegar, salt and spices. Heinz Ketchup meets USDA standard for Grade A Ketchup and has reinvented the Ketchup packet with the innovative Dip & Squeeze. 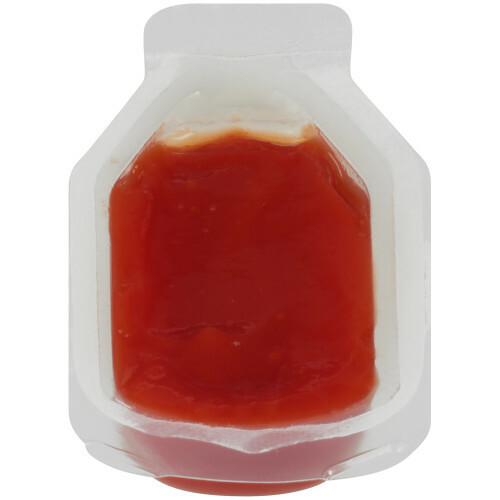 You can now choose to tear away one end to squeeze ketchup as a topping, or they can peel away the other end to create a dunking container. Heinz Ketchup, 14 oz. Forever Full Inverted Bottle, Pack of 16. This tomato ketchup has a thick and rich taste comes from fresh vine-ripened tomatoes and a special blend of spices - an irresistible complement to favorite foods. 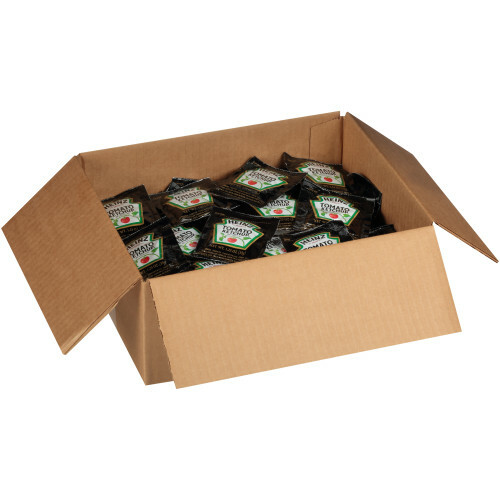 This box of serving size ketchup will be great for foodservice in many restaurant and carry out locations. We believe it's important that you know where the tomatoes in your Ketchup come from. That's why every tomato in every bottle of Heinz® Tomato Ketchup comes from Heinz seeds and is grown by farmers we know and trust. We keep track from seed to table so we know exactly what’s in there. And we promise, it's the very best. Heinz Ketchup, 14 oz. Glass Bottle, Pack of 24. This tomato ketchup has a thick and rich taste comes from fresh vine-ripened tomatoes and a special blend of spices - an irresistible complement to favorite foods. 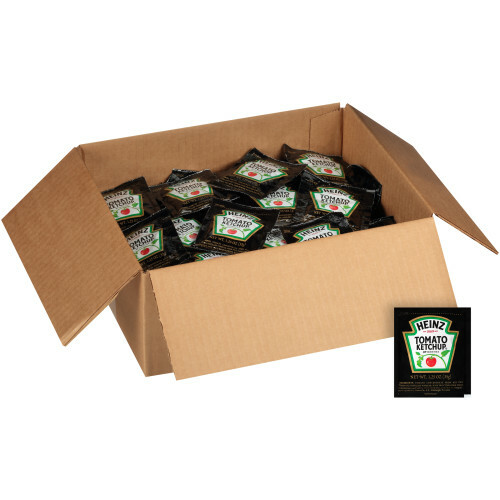 This box of serving size ketchup will be great for foodservice in many restaurant and carry out locations. 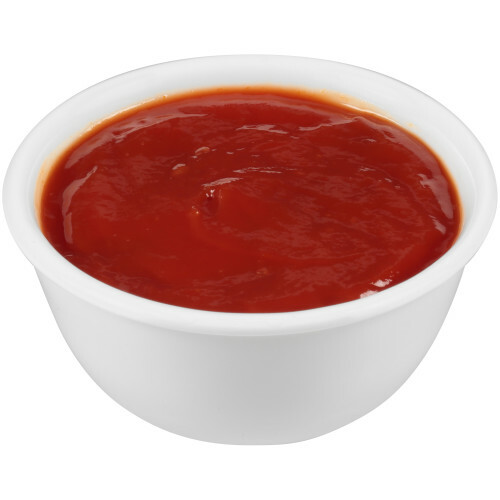 We believe it's important that you know where the tomatoes in your Ketchup come from. That's why every tomato in every bottle of Heinz® Tomato Ketchup comes from Heinz seeds and is grown by farmers we know and trust. We keep track from seed to table so we know exactly what’s in there. And we promise, it's the very best. 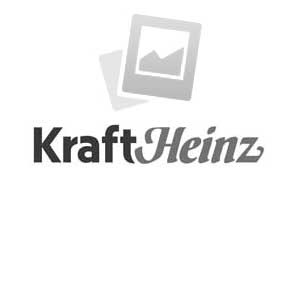 Heinz Tomato Ketchup, 14 oz. 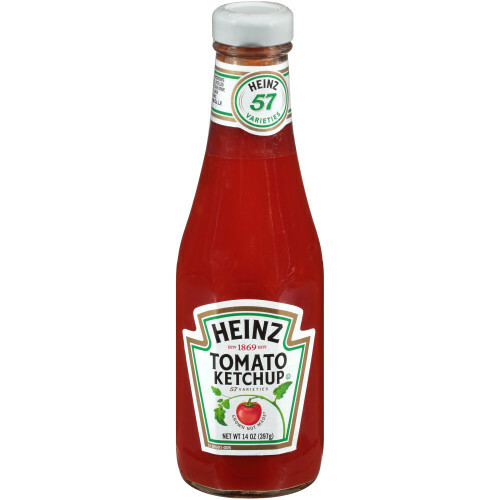 Inverted Bottles (Pack of 16) - This tomato ketchup has a thick and rich taste comes from fresh vine-ripened tomatoes and a special blend of spices - an irresistible complement to favorite foods. 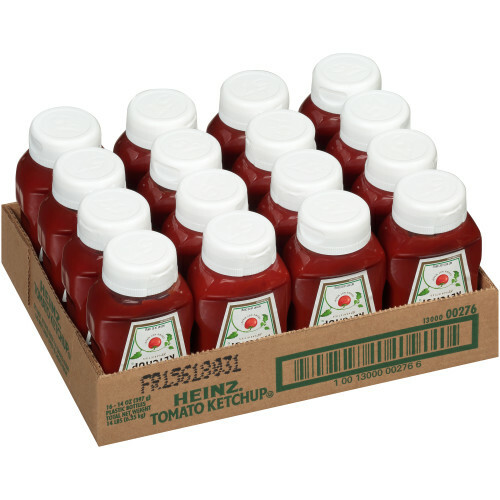 This box of serving size ketchup will be great for foodservice in many restaurant and carry out locations. We believe it's important that you know where the tomatoes in your Ketchup come from. That's why every tomato in every bottle of Heinz® Tomato Ketchup comes from Heinz seeds and is grown by farmers we know and trust. 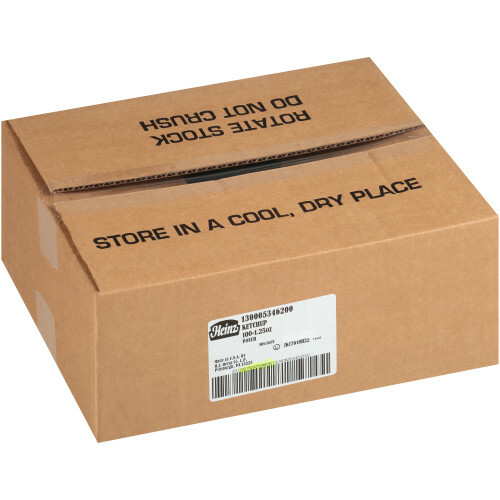 We keep track from seed to table so we know exactly what’s in there. And we promise, it's the very best.